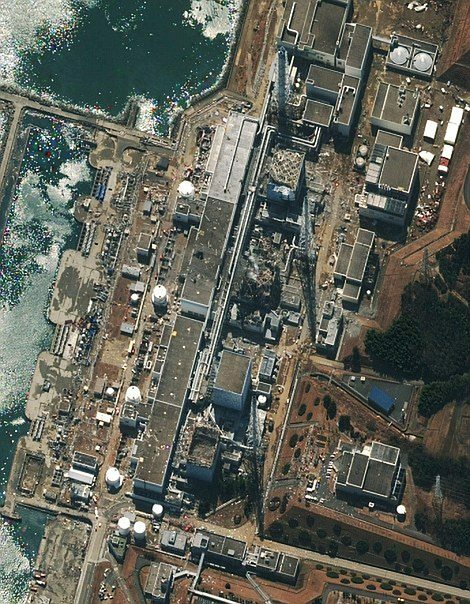 (NaturalNews) The status of the Fukushima Daiichi nuclear plant’s Unit 4 reactor is one of the most critical aspects in determining the severity of the impending nuclear meltdown. After all, the most recent temperature readings available showed that the rods there were three times hotter than they should be, which was far worse than the other reactors at the time. And yet for several days, basic information like whether or not there is actually water left in Unit 4’s cooling pool, or what the current temperature is of the spent fuel rods there, is no longer being supplied and reported, at least not accurately. On Thursday, NaturalNews reported that the US Nuclear Regulatory Commission (NRC) had announced the cooling pools in Unit 4 had run dry, and that the temperatures were spiking out of control (http://www.naturalnews.com/031734_n…). As NRC made this announcement, though, Japanese officials and spokesmen from Tokyo Electric Power Co. (TEPCO), owner of the Fukushima plant, insisted that the pools were not dry and that the situation was stable. Besides this conflicting and confusing information, there is the other disturbing fact that on-the-ground temperature readings of Unit 4 immediately stopped being taken the day of the NRC announcement. And since that day, there has been no official update on the temperature of the rods at Unit 4, or an actual verified account of the water status in the cooling pools. Oddly enough, there are now early reports beginning to emerge from TEPCO claiming that operators may be able to reconnect power to Unit 4 and several other units by Saturday (http://www.reuters.com/article/2011…). The temperature readings have mysteriously ceased, and nobody can verify whether or not there is actually water left in the cooling pools, but somehow workers are going to reconnect power to the damaged reactor? Something seems very out of place here. That so much of the available information on the situation is conflicting is questionable in and of itself. And the continual downplaying of the threat, despite the fact that the disaster as we currently know it to be is already the second largest nuclear catastrophe in history, is also highly suspect. There have been numerous fires, explosions, and other unknowns taking place and crews have largely had to evacuate the site to avoid radiation poisoning, but officials insist everything is just fine. Clearly everything is not fine, especially for the Japanese people. If you have been paying attention to the many other reports here on NaturalNews about the situation, you will quickly recognize the many serious factors at play and their numerous inconsistencies. There is an extremely dangerous plutonium-based fuel in one of the damaged reactors that may have already been, or eventually could be, released into the environment (http://www.naturalnews.com/031736_p…), an allegedly empty cooling pool exposing thousands of highly volatile fueling rods to the open air (http://www.naturalnews.com/031734_n…), and a US president telling everyone to chill out and do nothing other than watch television for further information (http://www.naturalnews.com/031735_O…). The people of Japan, and especially those located within close proximity to the Fukushima nuclear plant, are obviously the most threatened by the radiation situation. Many reports indicate, however, that the Japanese government is still downplaying the situation to the Japanese people even more than the US government is downplaying it to Americans. A recent report explains that the Japanese government deceived and withheld pertinent information from the mayor of a city 12 miles downwind of the nuclear plant — the mayor literally had to take matters into his own hands and bravely urge an evacuation of his city just last night for the people’s own protection — and he did this in direct opposition to the official government position (http://www.naturalnews.com/031747_n…). And you can be sure that if the situation gets worse for the US, the US government will likely take a similar position and continue to insist that there is nothing to be concerned about. This is why individuals must think for themselves — rather than let the government think for them — and be prepared for whatever may come. Remember, preparedness has nothing to do with fear-mongering, and everything to do with simply being smart and staying informed about a situation. Taking practical steps to protect you and your family from potential threats is the only natural response to a situation of this magnitude.